Learn all the basic quilting techniques: cutting fabric, piecing the blocks, and assembling the quilt top. We will also demonstrate basting/pinning the quilt layers together, machine quilting, and binding the edges. In this class you will make a throw-sized quilt. After registering, you will receive an email with details about the quilt design, amount of fabric you will need, and other required supplies and notions. 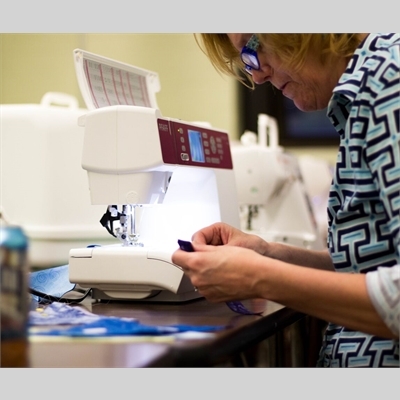 Bring a sewing machine in good working order (with instruction manual) to each class. While this class is for beginners, you must know how to use your machine. Please note: students are expected to do some sewing at home between classes; fabric and supplies could reach $100, depending on what you buy and what you already have.